To resist the growing number of white settlers in the Indiana Territory, Shawnee brothers Tecumseh and Tenskwatawa (“The Prophet”) formed a Confederacy of Indian nations, choosing a settlement near the junction of the Wabash and Tippecanoe rivers named Prophetstown. As the town grew to over 1,000 inhabitants, settlers in the region grew worried and petitioned the United States government to force the members of the Confederacy to disperse. Whether legitimate or not, also masked in white settlers’ fears of violent native populations was an un-quenching desire for native-held land and expansion westward. In response to the settler outcry, William Henry Harrison, Governor of the Indiana Territory, was sent with around 1,000 soldiers as a show of force and intimidation to secure a peace treaty with Tecumseh. After a temporary peace was reached, Tenskwatawa decided to attack early the following morning against Tecumseh’s orders, who at the time was traveling south seeking an alliance with a faction of Creek natives. Tenskwatawa and his allies attacked Harrison’s camp but were driven back following two waves of attacks. Though their losses were minor, the Confederacy dispersed as the Prophet’s claims of protection had proven false. With winter already at hand, Harrison had the Confederacy’s camp burned and food stores destroyed before heading back to Vincennes. The Tippecanoe Battlefield was listed in the National Register of Historic Places in 1985 and the Tippecanoe Battlefield museum is currently open for visitors to learn more of the site's history as well as interact with Native American and European artifacts. To learn more about this topic, check out our Prophetstown page! 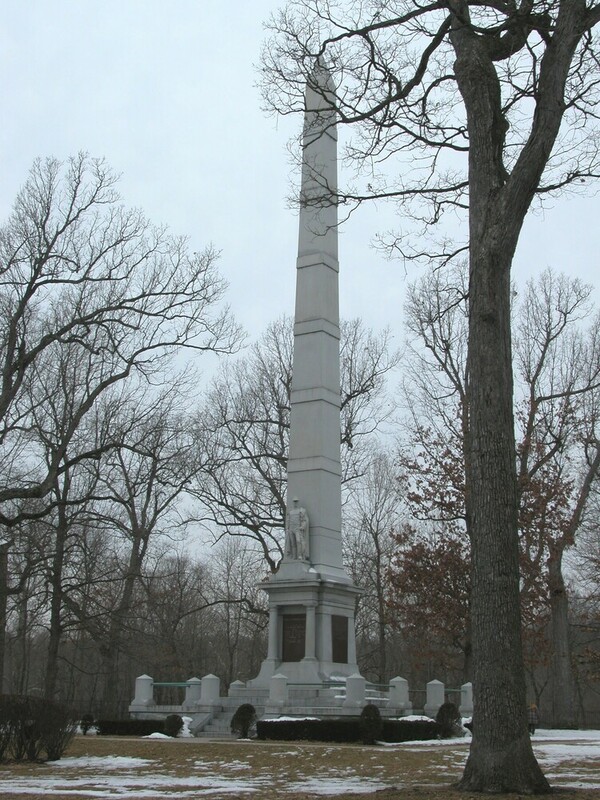 Indiana Division of Historic Preservation and Archaeology, “Tippecanoe Battlefield,” Discover Indiana, accessed April 25, 2019, https://publichistory.iupui.edu/items/show/325.